Town with 27,000 inhabitants 15 km north of Kecskemét. János Arany taught in the se<->condary school of Nagykőrös, most of his ballads were written here. 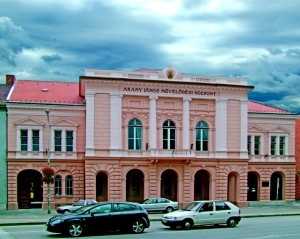 The building of the former barracks of hussars was transformed into the Arany János Museum exhibiting the masterworks of the industrial guilds, the personal belongings of the Arany family and some lite<->rary documents. Other exhibitions in the museum include the one of archaeology and literary history entitled "Hey! 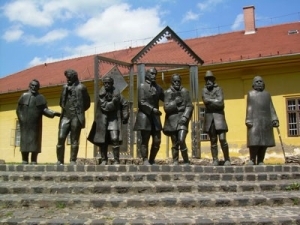 Nagykőrös is a famous town..." and a permanent ethnographical exhibition entitled "Grave-posts in the Duna valley". Statue composition called the "Great Teaching Staff" and a bronze statue of the head of a clan of the conquering Hungarians called Bor-Kalán in the park in front of the museum, both created by Imre Varga. The originally 15th century Gothic Calvinist church was rebuilt several times. 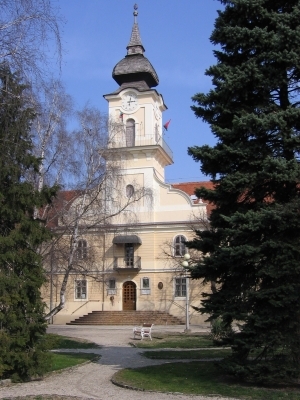 The Catholic St. László church is from 1786. The pools of the open-air bath are supplied with 32-46 degree C medicinal water. The holiday centre (sports field and recreation park) on the northern part of the town make an excellent service in making healthy lifestyles more popular.